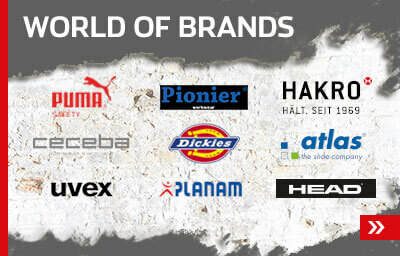 Workwear for pros – KRÄHE has stood for that for over 80 years. And waistband trousers are not only an indispensable part your everyday working outfit. 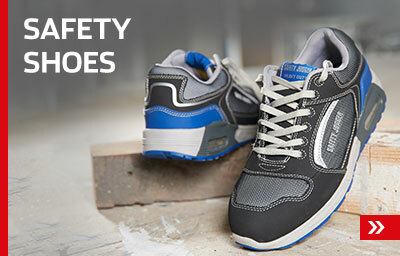 They are a key workwear product. KRÄHE is renowned for producing and selling high-quality, functional and well thought through work trousers, perfectly tailored to the working conditions and standards of your industry. Both the cut and the fit of our waistband trousers take account of the specific needs of your working area. The manufacturers of your trousers are renowned for selecting only high-quality materials, so you can look forward to wearing them for many years to come. A variety of colours and numerous practical pocket functions give you a customary, yet individual look. 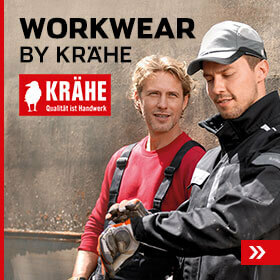 Put your trust in KRÄHE work trousers and order yours from our big online shop around the clock. We deliver direct to your home or business address.